Welcome to MOLLY MAID of NW Ohio! We are a locally owned and operated professional cleaning company, and we treat every home with the respect it deserves. Our team has been serving the local and surrounding areas for over five years. We understand how important your home and belongings are (including your pets). Our maid services represent a clean you can trust. In addition to regularly scheduled home cleaning, we also clean business offices in the area. Our professional Northwest Ohio house cleaning services are tailored to meet the needs of our customers and earn your business each time we come to clean. We provide the gift of time to busy families with affordable pricing and outstanding service. With Molly Maid, there is no contract and we provide a variety of cleaning options. We offer reoccurring cleanings, one-time cleans, as well as move-in and move-out cleans. You can add or delete rooms, change frequencies, and/or have a personalized cleaning schedule. Not every room has to be cleaned each time – you decide! At Molly Maid of NW Ohio, we are active members in the communities we serve. 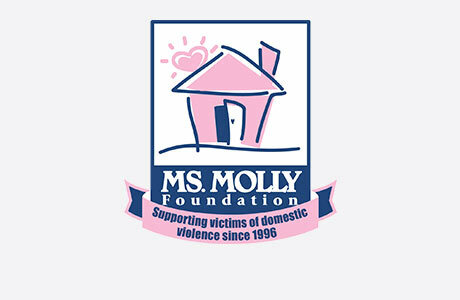 We support the Ms. Molly foundation, which helps increase public awareness of domestic violence and provides assistance to local shelters and agencies that support domestic violence victims. Another foundation that we support is the Cystic Fibrosis Foundation. Our hope is to advance the understanding of this little-known disease, to create new treatments for this life-threatening, genetic condition and specialized care for the children, and to find a cure. We are also involved in local civic and networking groups. Call MOLLY MAID of NW Ohio today at (419) 746-4354 to schedule your free in-home estimate!